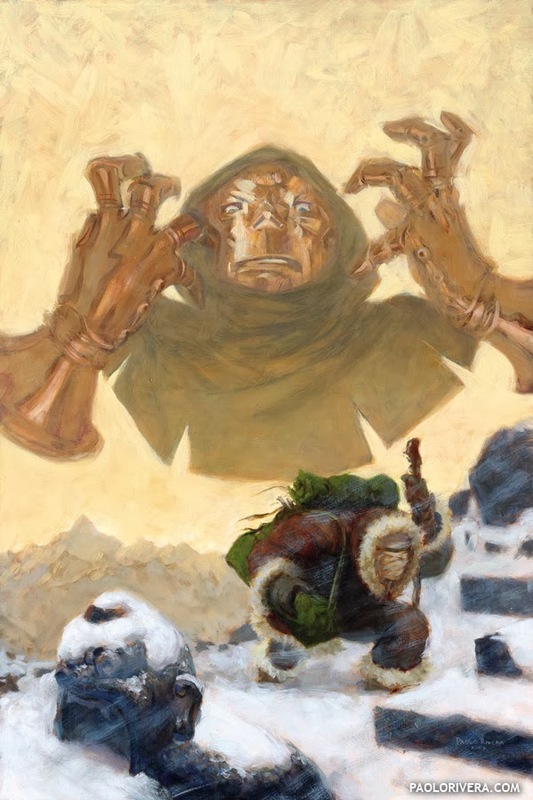 BOOKS OF DOOM #4 COVER (originally slated for #3). 2005. Oil on masonite, 16 × 24″. 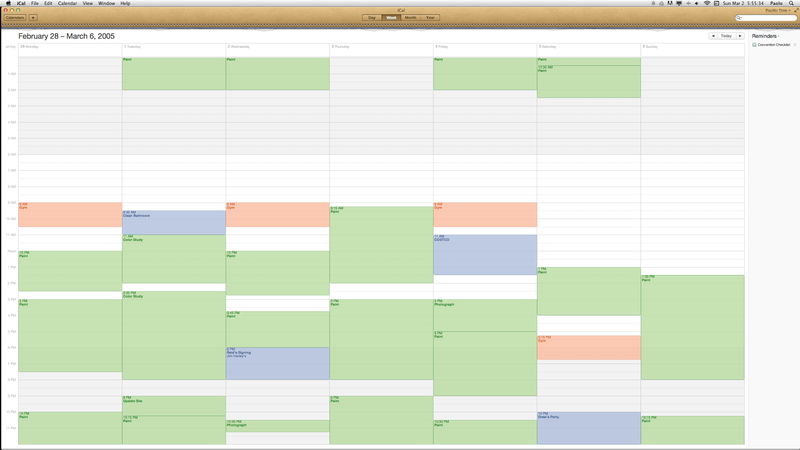 I have in my possession an artifact of great historical importance to myself and no one else: my digital calendar. Beginning on Monday, February 28, 2005, it records nearly every event of my life, both personal and professional (including the hours required to write this blog post). If accurate, during the course of that initial week I spent 6 hours at the gym, cleaned the bathroom for 1.5 hours (filthy, I'm sure), went to Costco, a friend's book signing, and Drew's party (I can't recall who Drew is at the moment). Boring, I know... but bear with me. The vast majority of the week, however, was spent making comics. 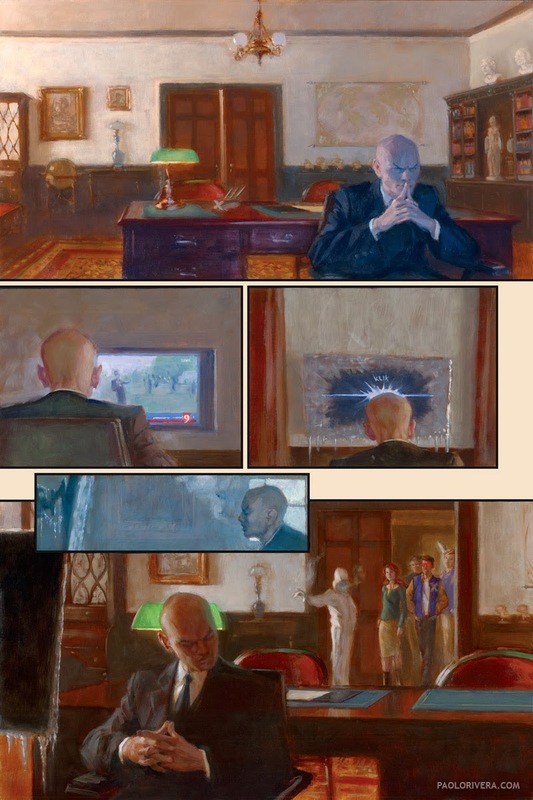 I finished painting 2 covers, varnished and photographed 2 others, and began painting the 4th page of an X-Men book — all in all, 68.5 hours of work. I know this because I used iCal, Apple's default calendar app, not like an appointment book, but as a time log and to-do list. Nearly a decade later, haven't stopped keeping track. MYTHOS: X-MEN PAGE 4. 2005. Oil on masonite, 16 x 24". Although I've upgraded computers twice since then, I still use the same program to monitor my "man-hours," albeit with a few more bells and whistles. I now keep Calendar (formerly iCal) linked to my Google Calendar account, which keeps the information in the cloud, and hence accessible from multiple devices. There are several sub-calendars within the program, meaning I can separate different types of tasks and toggle them on and off. 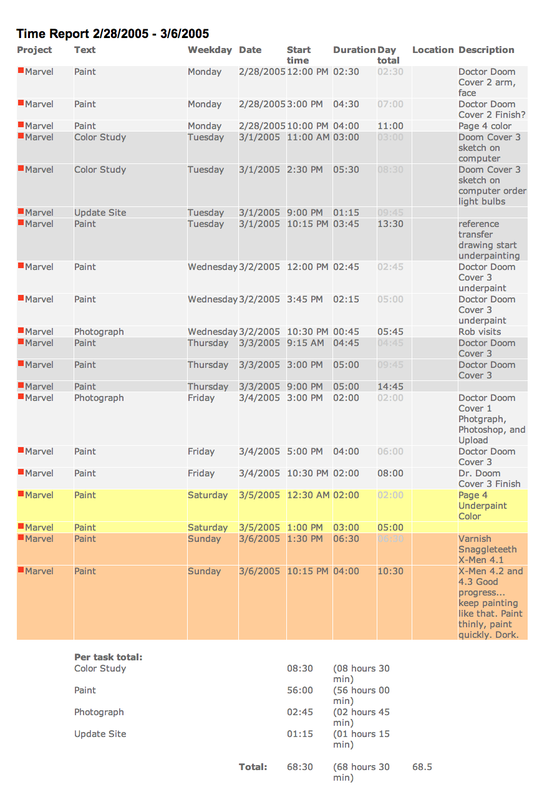 They're also color-coded to help me organize things at a glance. My current list includes Projects, Books (to keep track of what I'm reading), Personal, Blog and Email, Art Sales, and $ (to help keep track of bills and such). You can also subscribe to calendars like US Holidays, Phases of the Moon, and Birthdays from your contacts list. I used to keep more detailed notes on each event. That lasted for a week. But you probably already knew all this — what I want to show is how I utilize that information. 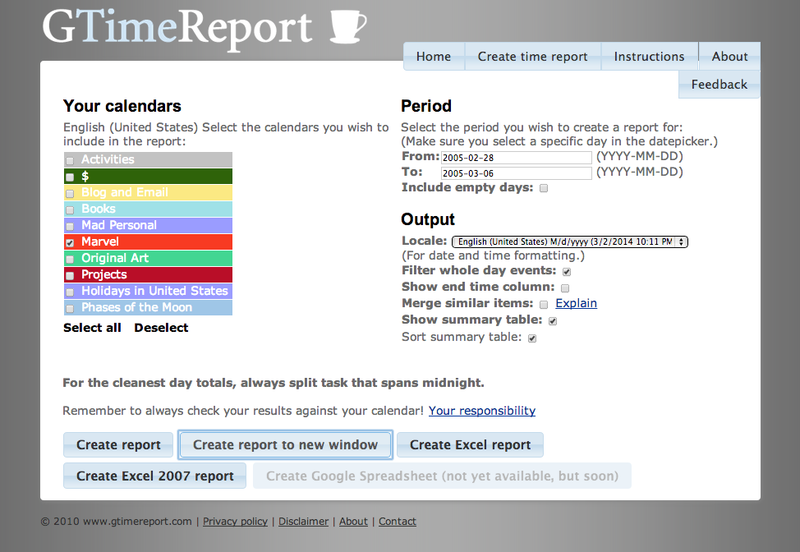 By far, the best tool I've found is GTimeReport, a web site that will tally all those hours and organize the results according to my own specifications. I used to enlist the help of another app that required each entry to be labeled with special tags in the note section, but this one needs no special designations, making it far easier to use. To use it, you must have a Google account (automatic if you have a Gmail address) and be willing to give the program access to read the calendar. I don't take this step lightly, of course, but permission is granted through Google's own site, so you never have to reveal your password. If you'd rather not do that, there are plenty of other options. 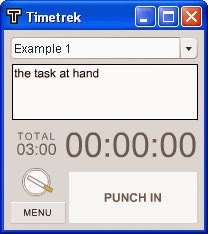 My colleague and friend, Katherine Roy, uses Timetrek, a time-tracking app that lets you clock in and clock out (or even take a coffee break). Although I haven't used it myself, it looks very easy to setup and manage. 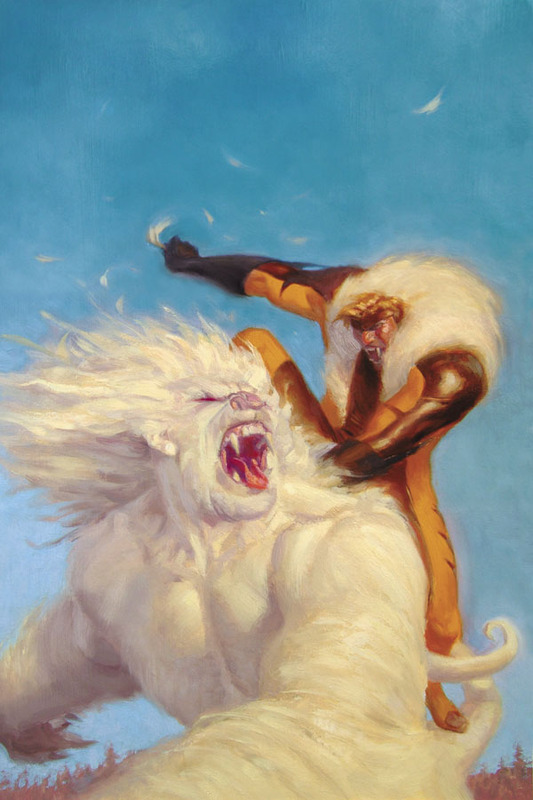 SABRETOOTH: OPEN SEASON #4. 2004. Oil on masonite, 16 × 24″. So what? Why keep track of your hours in the first place? Because no one else is going to do it for you. Since nearly every project I do comes with a flat rate, I need to have a solid idea of how long it will take me. I've said this before, but it bears repeating. Keeping track of hours matters little for the project at hand — the true purpose is the accumulation, over time, of working data, the ultimate goal being the rejection of projects that pay too little or, more importantly, require more time than available. There's no substitute for experience, so this will naturally be more difficult for those illustrators just starting out. The hope is that staying organized will make whatever experience you do have more meaningful. Next time: Organizing projects, deadlines, and $$$.